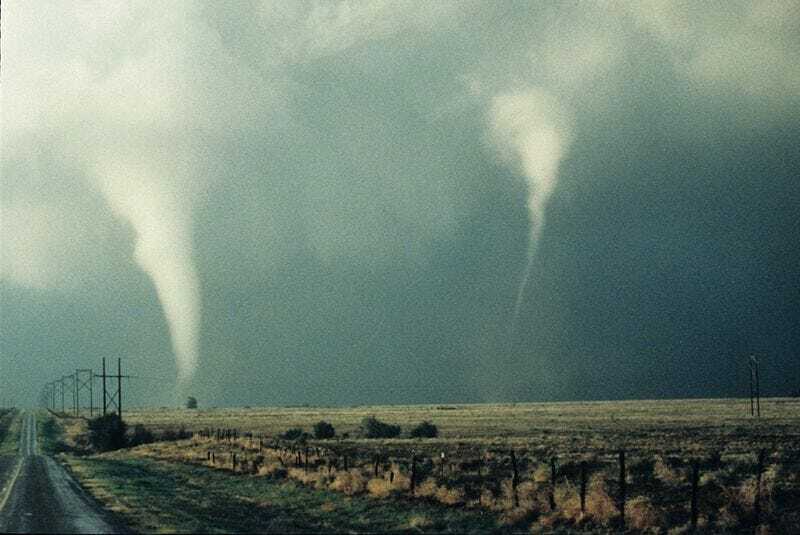 Are Tornadoes Starting To Move In Swarms? A new study looking at the last 59 years of tornadoes in the United States reveals something surprising: We have fewer tornadoes today than we used to. But those tornadoes are hitting in a terrifying new way. Harold Brooks, atmospheric scientist at NOAA (who you may also remember from his io9 Q&A on tornado season) is the lead author of the study, published today in Science. Starting at around 1980, the total number of tornadoes in a year starts to trend downward — at the same time, however, the days when multiple tornadoes struck started to trend upwards. Though researchers aren't ready to determine a cause for the shift, they do note that it could cause some serious changes in how we prepare for the damage of tornado season in the future. You can check out the whole paper right here.